UK supermarket Iceland’s Christmas campaign has been banned from television broadcasts after having been deemed to be in breach of political advertising rules. This advert by Iceland supermarket was made with Emma Thompson and Greenpeace. — The Daily Politik (@DailyPolitik) 10 ноября 2018 г. On the threshold of the winter festive season, the supermarket reached a deal with Greenpeace and famed actress Emma Thompson, who voiced an animated short film to raise awareness about palm oil growers’ destructive influence on rainforests, including those in Malaysia, which has been suffering from massive habitat loss and thereby threatening the existence of orangutans. Earlier this year, Iceland became the first major British supermarket to vow to sell its own brand of foods free from palm oil, citing the supermarket not being against the oil itself, but the deforestation that its mass production inevitably entails, according to the son of Iceland’s founder, Richard Walker, who has been championing the discount supermarket’s switch to eco-friendly goods. “We think this is a huge story that needs to be told. We always knew there was a risk [the clip would not be cleared for TV] but we gave it our best shot,” Richard said. The supermarket’s management underscored that they had received official permission to “use it and take off the Greenpeace logo and use it as the Iceland Christmas ad,” stressing that “it was so emotional”. The ad was virtually blocked by Clearcast, the watchdog responsible for approving or, conversely, rejecting ads before they are aired to the public, due to being “directed towards a political end”. The body essentially said that since the commercial had to do with the Greenpeace movement, it didn’t comply with the rules of the 2003 Communications Act, barring political advertising. However, few on the Internet could grasp the ‘political’ context behind the move, expressing certainty there was no reason why it should be rejected, especially in light of the good cause it advertised. — Friends of the Earth 🌍 (@friends_earth) 9 ноября 2018 г. 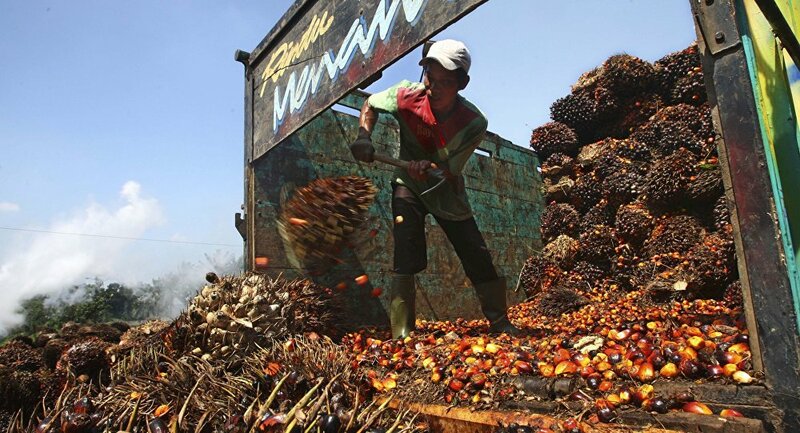 “Buying products without palm oil to save forests is a consumer preference issue, not a political one,” one user stated resolutely. — Richie Hayes (@RichieHayes2) 9 ноября 2018 г. It's a very relevant add. Planting the seed to the next generation on saving our planet. — Sharon White (@MrsSharonWhite) 9 ноября 2018 г. — Mark O'Mahony (@mark_omahony1) 9 ноября 2018 г. — Mary Kingston (@kinoshea) 10 ноября 2018 г. Shouldn't be banned. It's the facts that people need to see. — Roy (@76roy76) 10 ноября 2018 г. — Andi (@grumpycorkchef) 9 ноября 2018 г. — Hannah (@purplepansy20) 9 ноября 2018 г. — Mia Cummins (@dhv938d) 10 ноября 2018 г. — Dahabo🇸🇴 (@official_dahabo) 10 ноября 2018 г. — John Rodge #PCPEU #GTTO (@Gtr910) 9 ноября 2018 г.